Exercise has proven to be very effective in reducing stress and anxiety levels by increasing soothing brain chemicals like endorphin’s and GABA (Gamma-aminobutyric acid, or GABA, is a neurotransmitter that sends chemical messages through the brain and the nervous system, and is involved in regulating communication between brain cells). It even benefits us at a cellular level to reverse the toll of stress in our aging bodies. In fact, research reveals that burning the equivalent of 350 calories three times a week through sustained, sweat-inducing activity can reduce symptoms of depression as effectively as antidepressants -with none of the side effects. A new scientific study uncovers more unparalleled benefits of exercise. It revealed that increased muscle strength leads to improved brain function in adults with Mild Cognitive Impairment (MCI) – a condition where people suffer mostly memory problems that are not severe enough to interfere with daily life (unfortunately it is often considered to be the very early stages of Alzheimer’s disease). Each group exercised twice weekly for six months. Participants cognitive skills were measured with tests assessing executive functions (such as attention and inhibition) and memory. The brains of 22 participants were also scanned using functional MRI. The results revealed that resistance training improved both executive functions and memory performance. Brain scans demonstrated increased blood flow to areas of the brain associated with improved performance (such as the occipital and frontal regions of the brain). In contrast to prior studies, there was no benefit of the aerobic training on cognitive performance (even though the cardiovascular performance of the participants in this group did improve. This study is one of the first randomized controlled trials comparing the efficacy of both resistance and aerobic training to improve cognitive functions. 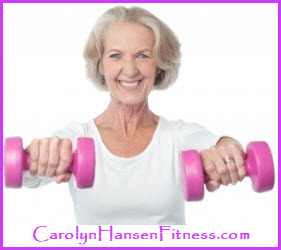 It confirms and supports the results obtained a few years ago by the same team of researchers showing that 12 months of once or twice weekly strength training improved executive functions in healthy women ages 65-75 years old for up to 1 year after the training. 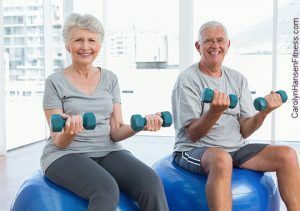 The study showed that after a short period of time (6 months) the effects of strength training can benefit cognition even in those who already suffer from cognitive impairment. Just 20 minutes of strength training was found to enhance long-term memory by about 10 percent. Truth is, now is NOT the time to fall prey to the couch. Once we hit 40 years upwards, physical movement becomes really paramount. Even if you just start exercising at this time, you will still gain a great deal from it. Memory loss and cognitive decline really depend on lifestyle. Your brain has the capacity to regenerate and grow throughout your entire life, and movement is a major key for all of these brain-boosting processes to occur. Although it’s never too late to start, the earlier you begin and the more consistent you are, the greater are your long-term rewards. The reality is, an active lifestyle is really an investment in your future well-being, both physically and mentally. The responsibility for your health and fitness falls directly on you. However, you are also the one that reaps the rewards and benefits from your accountability. If you truly want to take command of your life and avoid disease somewhere down the road – your muscles need to be in tip-top condition…strong and toned at all times – starting now.